Spelling. Are you looking for Moreira, Murdeira, Tordera, or Voadeira? Bordeira is a Portuguese civil parish in the municipality of Aljezur. The population in 2011 was 432, in an area of 79.87 km². 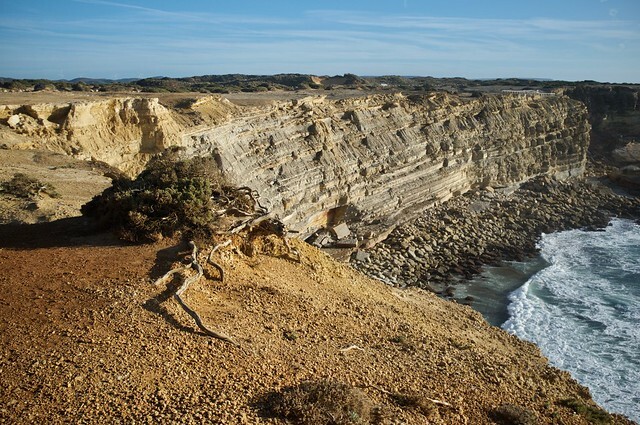 It lies within the Southwest Alentejo and Vicentine Coast Natural Park, along the western coast of the Algarve in Faro District. The region, typical of the Algarve coastal areas, is dotted with many beaches, with the most important being the beaches of Praia do Amado and Praia da Carrapateira, which attract both local and tourist vacationers. It contains the village of Carrapateira. Bordeira is a locality in the civil parish of Santa Bárbara de Nexe, in the municipality of Faro. It is strongly associated with its rich history in stone, as well as its traditional New Year&apos;s songs/chants and history as the centre of the accordion musicians in Portugal. Go to the wordplay of Bordeira for some fun with words! This page was last modified on 22 January 2018.